BDR is a foster only rescue group so fosters are the key to us continuing to help dobes and place them in loving forever homes. By fostering, you are literally saving a life of a dog that would possibly be euthanized in a shelter. I'm afraid I'll get too attached to the dog and not be able to give him/her to another family: It is not always easy to say good bye to your foster but by placing that dog, you not only saved his/her life, but you will save another for your next foster. What are the benefits of fostering for the dog? We know so much more about dogs in foster homes in terms of personality, good and bad behaviors, etc. in order to better place them in the "right" forever home. Additionally it takes away the stress that a kennel or shelter can often cause that keeps you from knowing what that dog's true personality is. 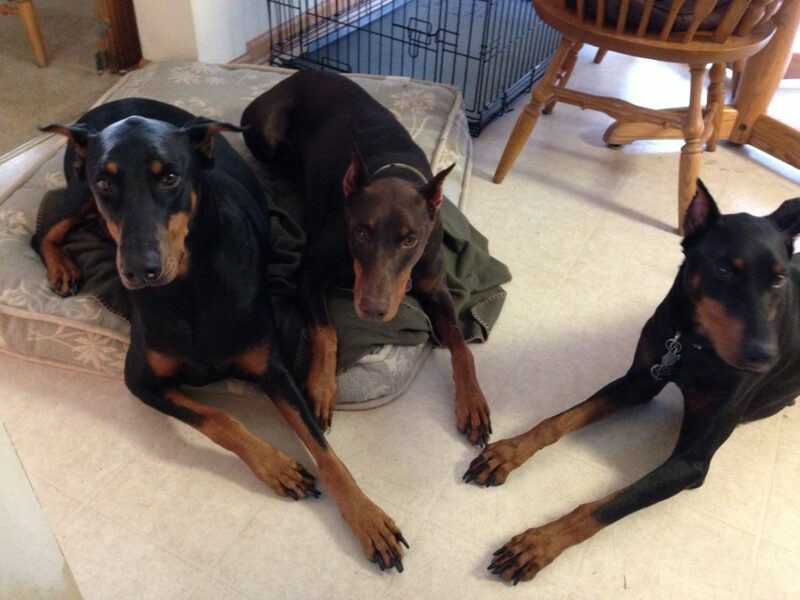 As a foster, what am I responsible for providing the dobe? BDR pays for all vet care, vaccinations, flea and tick, HW preventative and food. You are only responsible for providing a loving, inside home as well as providing information to BDR about the dog's behavior. You may also be responsible for getting the dog to and from the vet. If possible, you may also be asked to bring dogs to events when appropriate for the dog. Can I adopt my foster dog? Yes, a perk to opening your home to a foster dog gives you the first opportunity to adopt that dog. This is one of the main reasons we have foster home candidates go through the same approval process as adopters.